If you’ve ever wanted to learn how to get your music on Shazam you’re in luck. Today we’ve got a interview of Jon Davies, the partnerships manager at this cutting edge company. Not only does he show you ways to get your music on Shazam, but he also shares tips on making it as an independent musician. Some parts of this guide are different then what we normally share, as Jon does talk about the actual company in the interview. 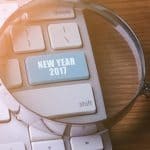 If you’re thinking about setting up your own music based company some day, those parts may also be interesting for you. If not, feel free to skip to the red headers for the ‘how to’ parts. How Does The Shazam Database Get Updated? 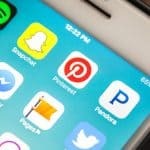 Who Are The Most Prominent Purchase Partners Of Shazam? How Well Does Shazam Detect Tracks In Electronic Music Genres? How Does The TV Integration Work? What Is Your Take On Streaming Services? 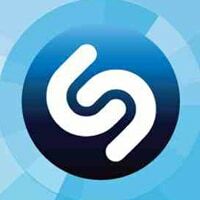 What Are The Latest Shazam Developments? Jon Davies: I’m Jon Davies, I’m the music partnerships manager at Shazam. 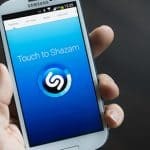 Shazam is the world’s leading mobile discovery platform. Our users interact with more than 50 million tracks per day, and we’ve had over 350 million downloads of the app since launch. Shazam isn’t simply a music service. It can also be used across TV to interact with TV shows, advertisements and live broadcasts. We have over 35 million tracks in our database and we have direct deals with labels and major aggregators who all send us, initially, their full back catalog. But then also weekly, even daily, we get new deliveries to ensure that the new tracks are tagged and are able to be discover by our users. The benefits to that is that now our users are discovering 50 million tracks per day. A lot of those users are actually not just using Shazam to discover the music, but also to click through and purchase it. We’re now Apple’s leading affiliate partner on mobile worldwide and last year alone around 300 million dollars worth of digital goods were transacted through Shazam. Well if you’re a small or independent artist there’s a number of ways. 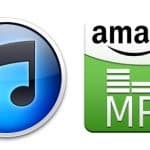 Well firstly we partner with a number of services such as CD Baby and TuneCore who can help emerging artists send their music not only to Shazam, but to iTunes, Amazon, Audio, several other digital services as well. There’s that option. 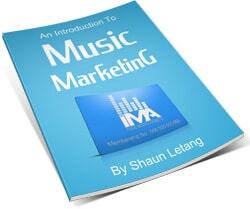 The second is if you use a distributor or an aggregator say such as INgrooves, they will send the music to us. Then also you can email even Shazam directly and we can add your music that way. It depends on what platform you use Shazam on, but our purchase link for iPhone is iTunes and Android is Amazon. They are our two leading platforms so they’re our major purchase partners. Also as well in the world of streaming we’ve partnered with Audio. Then also as well you can Shazam your song on YouTube and then also as well interact with ticketing. There’s a number of ways that after you’ve Shazamed a song you can interact with that. Now our algorithm is pretty sophisticated that we can actually detect between the original and the remix. There’s been a lot of work on our side to make sure that we can do that. As I mentioned our database now is over 35 million tracks. We’ve got a dedicated music team who ensure that we have not just links with the labels, but also the people who are sending out these tracks via their PR agencies, radio promos etc. So we’re confident that we’re on top of all genres especially that. You use Shazam in the same way through your phone or your tablet, but the difference we use in TV is that you will get a prompt to use Shazam. So you could be watching an advert or a TV show and you’ll see the Shazam logo appear encouraging you to interact with that broadcast. This is what we call the second screen. Shazam acts as the second screen where the user can literally take content almost from the TV using audio recognition. Instead of holding your phone up and recognizing the piece of music, Shazam will recognize the piece of media. If it’s a car advert for example you could have some images on video of the car. Shazam can find out your location so you can book yourself in to a test drive and you may be even be able to enter into a competition. That’s a really exciting development for us. Obviously Shazam has a such a wide user base, 70 million monthly active users engaging with Shazam, and it’s a really powerful tool for brands and broadcasters to be able to literally take their content out of the screen and into the users hand. Our streaming partner is Audio and it’s a great service. I use it myself and I love the way you can go on to the home screen, and… it reminds me of looking in a record shop where you know you can scuffle through all the album covers and then that’s stuffed to your collection; and then go back to it. Obviously the benefit is all about being able to download stuff to your phone. The fact that you can know Shazam tracks and obviously click through and then add them to your audio player list. The streaming place is an interesting space. It’s very competitive, there’s a lot of people already in the market and a lot of people trying to enter the market as well. I think it’s good for the user because ultimately it gives them a lot of choice. Yeah it’s definitely interesting to see how it develops and as you mentioned there’s more people entering it. The Beat Service I think is on the horizon, there’s been a lot of talk about that. Obviously Apple is well with the iRadio. So it’s interesting to see how it’s going to develop. A good one at the moment is so if you have the iPad, we have a feature that we call ‘Auto’. So you can switch Shazam on and it will be running in the background. You could be at home, say listening to the radio, cooking your dinner and you can switch Shazam on to auto and then that will start working. If you’re listening to a radio show, it will just continuously tag all the songs that are played. Then you can go back an hour later and see everything that the DJ had played and then hopefully you go on to purchase it. We get more sophisticated with our data in terms of location so we now have more detailed tags. We zoom in to wherever you are (or somewhere else where you’re curious about), look at what people are Shazaming, and you can see a detailed chart based on what’s popular in that region. Well outside of the obvious markets such as radio in terms of getting your music heard, we’ve seen, for emerging artist at least, a lot of traffic through Shazam when people have their tracks used in say TV shows or adverts. I think there was maybe a few years ago a slight stigma attached to having your music maybe associated with a brand. But I think now as you mentioned, where it’s so hard for a band to cut above the noise, music is so easily accessible these days. Now people are sending their music to music supervisors and they then may be able to get their songs placed in a TV show or in an advert. In the past that would have been great because it would have made you some money, but it may not have allowed users or potential fans to know who you are. Shazam is a great tool now because if you got that exposure and your music is in Shazam, then people will automatically want to know what that music is and they’ll know more about you and hopefully purchase the music as well; which can be a great platform for any emerging artist. We’ve seen some great cases, Alex Clare and the Microsoft advert and yeah you could correlate the number of Shazam tags compared with the sales after his advert aired. Yeah it was great to see the level of engagement and ultimately purchases from fans on an emerging artist. So there you have it; ways to get your music on Shazam, tips on being discovered with Shazam, and a look at what the future holds for the company. Again this isn’t out normal sort of guide, but I thought as a one off it’d be helpful. I hope you enjoyed it, please share if so.